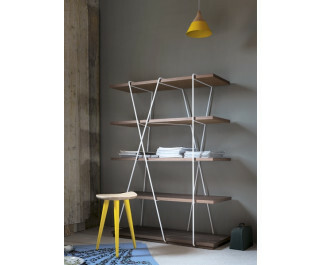 Light and essential library: the rod structure, white, wraps and supports in oak shelves. Frame: white painted metal rod. Shelves: oak sawn, walnut or lacquered white or black.